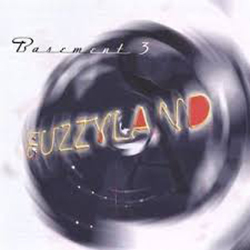 Since it’s conception in the mid 90’s as kenny’s solo project, basement 3 has continually mutated and altered it’s scope on both an artistic and a functional level. still spearheaded and conceptualized by kenny, the new cd,fuzzyland, incorporates drummer mike freitas and vocalist heather courtney in more prominent roles to provide a more unified result with added creative depth of field. the first 2 cds yielded a brand of music that kenny called ‘subterranean world-core’–a stew of world music, industrial, avant-garde jazz, and pop. now with a new obsession for singer/songwriter and neo-folk stylings, kenny’s songs have taken some new directions, with more emphasis on vocals, melody and harmony. but basement 3 fans of old need fear not–there’s still plenty of eclectic stew left in the pot. . .new for ’04: agro-jazzy urban folk-core from bottomland. basement 3-underground music for a new millennium.